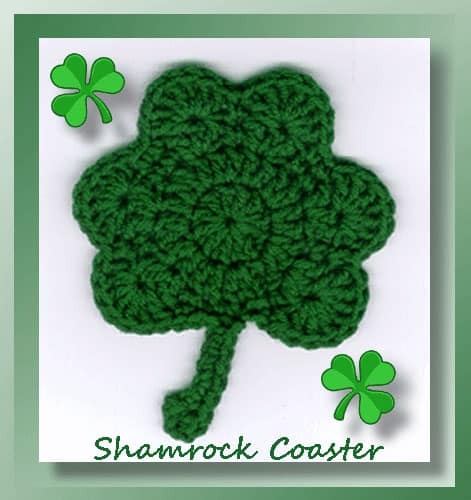 St Patrick’s Day Crochet Patterns ~ Shamrock Patterns Galore! I don’t know what it is about St Patrick’s Day. But what a fun holiday! Here are my favorite St Patrick’s Day Crochet projects including some adorable crochet shamrock patterns too! 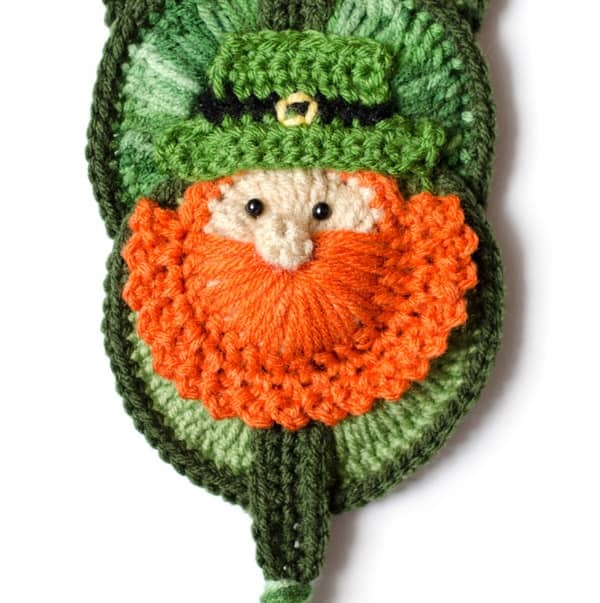 I love this cute little leprechaun wall hanging. You can find him in my Etsy and Ravelry shops. This St. Patrick’s Day decoration is on my front door. Love him. 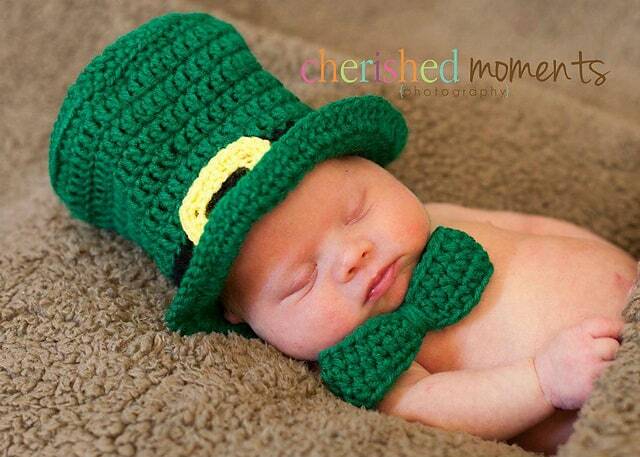 And how about this adorable crochet leprechaun hat and bow tie crochet pattern for baby? He is so cute! I just love the pot of gold appliquéd on this sweet hat, don’t you? 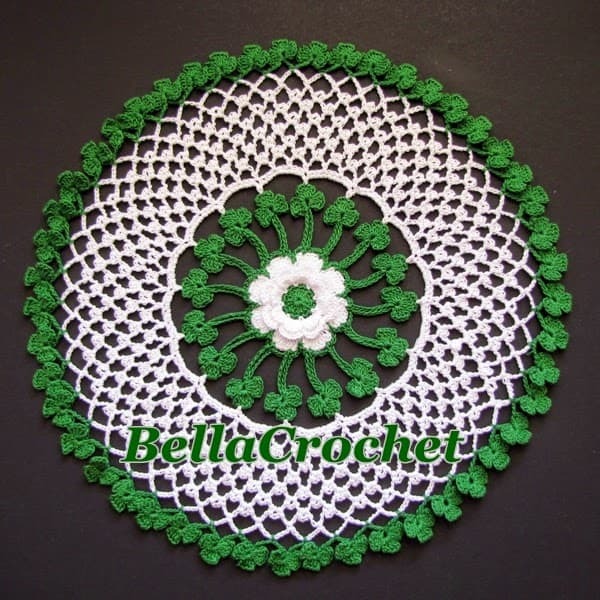 Check out this crochet shamrock pattern! It would look great as a large appliqué or as a coaster. Get your little one decked out for the holiday with these really sweet baby booties! I love that this little crochet shamrock pattern on top has such a soft effect! 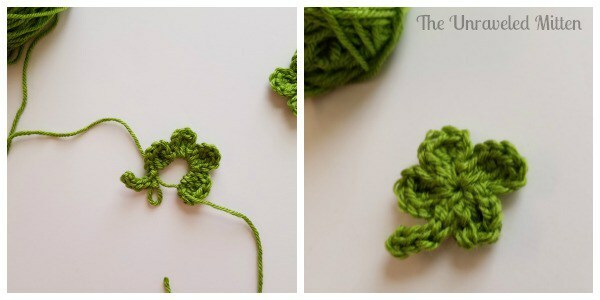 I love this easy crochet shamrock pattern. Reminds me of how easy my crochet heart goes together. The shamrock would look great on a baby hat or even as a pin. This doily is just gorgeous! 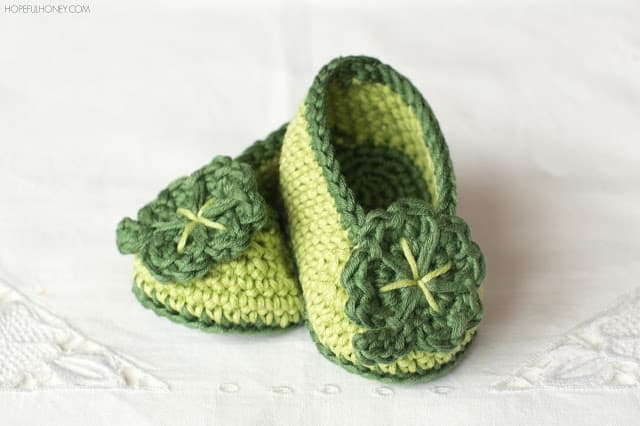 Check out those crochet shamrocks! What a way to decorate your house for the holiday! 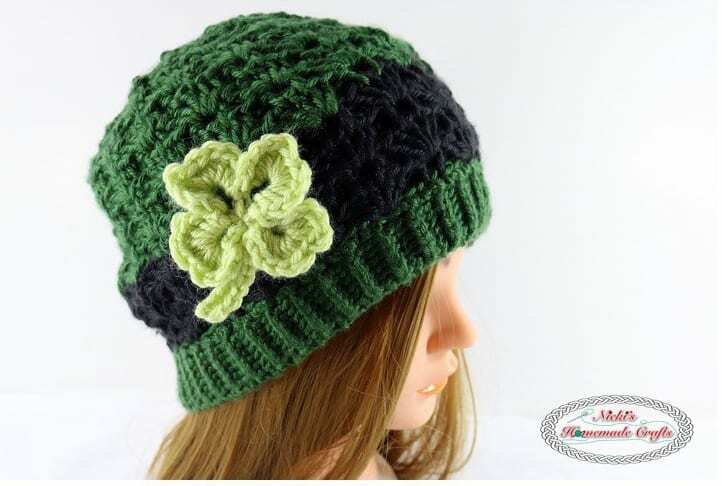 Here’s a fun crochet shamrock pattern for a hat that’s sure to be a hit! And warm and cozy too! 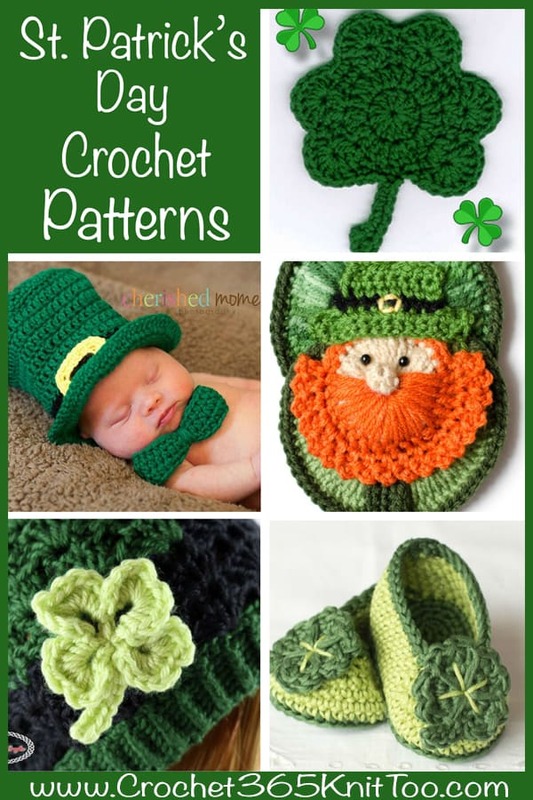 With these great St Patrick’s Day crochet patterns and crochet shamrock patterns, you are sure to have the luck of the Irish! Subscribers to my Newsletter get Access to my secret library of freebies including a free crochet/knit journal! I love seeing your finished projects! 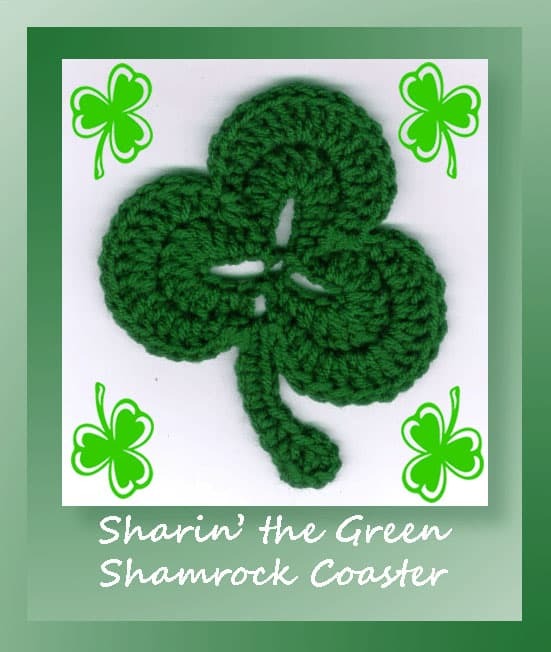 If you enjoyed these crochet shamrock patterns and St Patrick’s Day Crochet projects, I’d love to see your work on Instagram! Be sure to tag me @crochet365knittoo. If you are on Facebook, stop over to the Crochet 365 Knit Too Facebook page or pop over to the Crochet365KnitToo Club and share a photo! I’d love to see your projects! great patterns. keep them coming.